BGS 16 - Black Girl Gamers w/ Tanya DePass | Black Girl Squee! In Episode 16 of Black Girl Squee, hosts Inda Lauryn (@indascorner) and Didi Jenning (@dustdaughter) celebrate Amber Riley's new London gig, new music from KING, Lion Babe and The Suffers, and Taraji P. Henson's brilliant new role. They also get into some HTGAWM chat after the show's return from a long, cold hiatus. Finally, they talk to #INeedDiverseGames creator, Tanya DePass (@cypheroftyr), about underserved markets in gaming, the relationship between games and storytelling, and the need for representation of marginalized groups. You can contact us on Twitter us @blackgirlsquee, emailing us at blackgirlsquee at gmail dot com or sending us a message on our Tumblr. Leave us a review on iTunes and we’ll read it on the show. Intro is "Carry On" by KING. Outro is "The Greatest" by KING. 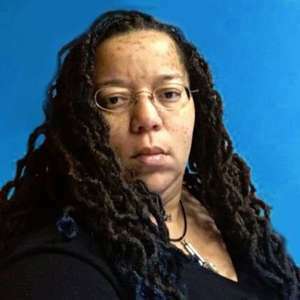 Ways to contact Ms. DePass: ineeddivgms.info ineeddiversegames.info freshoutoftokens.simplecast.fm Patreon.com/INeedDivGames Patreon.com/cypheroftyr cypheroftyr.com In fantasy worlds, Historical Accuracy is Lie - Offworld @cypheroftyr @INeedDivGms whyineeddiversegames@gmail.com freshoutoftokens@gmail.com #INeedDiverseGames Spreadshirt Offworld Collection Kickstarter - Stretch goals get contributors more money!